Being somewhat of a wanderer myself, I was excited to finally read Into the Wild by Krakauer. This true story is about a young man, Christopher McCandless, who leaves his home in Virginia to wander the country alone with no money, no plan, and no destination. Krakauer follows his journey through the American west, piecing together the details, and all the way to Alaska, where McCandless’s body was found in a rusted bus near the Stampede Trail. Part documentary, part commentary on restless youth, I was at a loss as to whether I liked this book or not. Krakauer is an exceptionally talented storyteller. As such, the writing and mechanics were flawless. But some of the ideas behind this book left a bit of a bad taste in my mouth. In the book, McCandless was lauded as a kind of modern transcendentalist—someone who has given up on society and its corruption and seeks to live more simply and reach back to humanity’s roots. Yet I was not persuaded that McCandless, and his story, embodied this sort of lofty ideal. In my mind, I saw a story about a young, white, middle-class man, moody and pretentious, giving up what he had without understanding what it means to not have. It could be that both sets of stories apply here, but the latter far outweighed the former for me. I am not sure why I had such a strong reaction to McCandless’s story. Some of the ideals that he follows I also identify with. I have wandered a great deal around the world, lived and slept alone in foreign places, and often wonder what it would be like to grab a backpack and traipse into somewhere wild. Yet, the way in which McCandless seemed to reproach and angrily push others away was not something I would expect from a traveler seeking some kind of better, simpler life. Granted, in the book Krakauer took care to show both sides of the story—McCandless as a lofty wanderer as well as a petulant youth. He also spent time to discuss the strangeness of these kinds of people who have popped up throughout history and followed these dangerous paths in hopes of some kind of enlightenment. As such, whatever it is I disliked had to do with the story itself, and not the book or the writing. And considering all of that, this is precisely the kind of book that is essential to read—the kind that will make you think about something. So I recommend it for anybody and everybody, and make sure to read it alongside a friend so you can discuss it later. Although the two short stories featured in Haruki Murakami’s Wind/Pinball are the product of the author’s first endeavor to put pen to paper, they are still classic Murakami—meandering tales with no resolution and a lot that’s left unsaid. Murakami fans will know what I mean, but for those who don’t I like to put it this way: read Murakami for his writing and your own contemplation and not for a story or an ending. All this being said, I recommend these stories to established Murakami fans for sure—ones who follow his publications almost religiously. But for someone just getting started I would say this book is not for you. A few years ago I posted on this blog my top favorite Murakami books. In there I name Kafka on the Shore as my favorite, followed by The Wind-Up Bird Chronicle—these books have more structure, and are closer to a “regular” sort of fiction book, with story, conflict, and a narrative arc. So check these out first, plus a few others, and then when you are getting close to the end of the Murakami road, double back for Wind/Pinball. Story: 3 // Craft: 5 // Making me wonder what life is all about, and concluding that maybe, it’s not about anything at all: a great, big existential ∞. Patrick Sumner is an ex-army surgeon running from his past. Henry Drax is a harpooner with an insatiable thirst for blood. Both board the Volunteer, a whaling ship setting out from Hull to hunt for blubber in the Arctic Circle. As they head north, the secondary purpose of the expedition unfolds together with the cataclysmic depravity of Drax’s nature. Can Sumner, lost in the grips of a laudanum addiction and feelings of deep emptiness, fight against Drax and find his way through the winter and home? What I loved about The North Water, but which I must caution potential readers against, is the sheer vulgarity of the language and images that McGuire includes in his story. Do not read this book if you have a queasy stomach, but if you’re looking to experience survival, and humanity at its most twisted and animalistic, this is the book for you. It is a thrilling story that you will not put down until its hollow, bloody end. All in all, if you’re looking for a thrill and are a fan of authors who specialize in the brutal, such as Cormac McCarthy, then I think this book is for you. Expect blood, death, and a whole lot of swearing. Story: 4 // Craft: 4 // Entertainment: 5 // Nastiness: off the freaking charts. Hey all, last Saturday I went to the Boston Book Festival and attended some great panels that discussed books and writing. I live tweeted soundbites all day @anniemcg13, but thought it would be neat to make a post with some longer and more organized thoughts about what I heard. The two topics that stuck with me most were creativity (how to get some) and tips for writers looking to publish. If you’re a writer, or interested in writing, this post is for you! Although this panel talked mostly about creativity as it relates to problem solving and innovation in a business setting, some of the ideas were certainly relevant to writing. Clay told a story that relates to this idea: once, she dressed up as an Amish woman and went to a technology convention to ask questions. Aside from it being hilarious, she said that doing this allowed her to dig deeply into simple concepts and ask simple questions that would have sounded strange coming out of a tech-savvy person’s mouth. This seemingly silly adventure, to me, sounds like that “aimless playing around” that Kennedy was talking about. It was implied that from this experience, Clay gained some insight that she would never have gleaned if not for her Amish LARPing adventure. So what is the takeaway? I guess it would be to experiment. Don’t expect to get it (the sentence, the interview, the plot, the detail) right on the first try, and don’t be afraid to do something unusual or strange in order to reach your goal. When looking for a publisher, know what you want from your book and choose the publisher type accordingly. What do I mean by publisher type? Check out this website for more details, but it has to do with services and what kind of relationship you want with the entity that will be publishing your work. For example, there’s vanity publishing, in which you pay the company to publish your book and that’s basically it. There’s also subsidy publishing, in which you partner with the entity to get the job done, and a few more. It all depends on what you, the writer, are looking for. Create an author platform, an expression of passion and interest, before you even start writing. In terms of nonfiction, for example, you could establish yourself as an authority or knowledgeable voice in the field so that when your piece comes out people will trust you. Another point that goes along with this one comes from a question that one of the panelists asked the audience, which was: how many of you hate social media? After waiting a bit for people to raise their hands, the panelist replied with: well, get over it. The point here is that social media is an important resource for writers to get the word out about their work. Sure, it’s all well and good to get published with a huge name like Penguin Random House, but for the most part, modern writers will need to act as their own marketer and spokesperson. Get the word out ASAP! Finally, check out The Literary Marketplace for a big old list of all the literary agents who exist in the whole world (okay maybe just most of them). The last panel I attended was a discussion with science writer James Gleick about time travel. Although there weren’t any writing tips to glean, I wanted to share a neat soundbite: “The best time machines we have are books.” Indeed! Fantasy and reality combine in this book of short stories. In one, a husband and wife who are drifting apart conduct an experiment where they watch their hopes and fears manifest before them. In another, a girl joins a puppeteer school where the puppets and their human controllers change each other. Each story explores truths of the human existence, revealing them in ways that seem not quite possible, but still wholly believable and enlightening. I devoured Helen Oyeyemi’s What Is Not Yours Is Not Yours and was devastated to read the last word. Each story is unique and just as enchanting as the last. Oyeyemi’s writing is simple and compelling, making this book an easy read and allowing the story, details, and place to pull you in. I would place this book in-line with other semi-fantastical writers such as Haruki Murakami and Karen Russell. I give this book full marks in all three ratings and highly recommend it to any reader. I cannot wait to read more of Oyeyemi’s work. In the 1950s the Swiss dye manufacturing company Ciba-Geigy arrived in Toms River, a small town by the Jersey shore. Its arrival brought jobs, and a boon to the local economy, helping Toms River to grow in size and wealth. Yet, as the residents were quietly watching their town prosper, hidden behind the trees on the factory’s vast property, Ciba-Geigy was dumping billions of tons of hazardous chemical waste into the river, unlined landfills, and eventually the ocean. Soon, residents began to notice a foul smell and taste in their drinking water, and children were seemingly born with unusually high levels of childhood brain and spinal cancers. Dan Fagin’s extensive nonfiction piece, Toms River: a story of science and salvataion, chronicles the saga of the town, the factory, and the story that took over 20 years to unfold. This book is not only about Toms River, but also a history of cancer, epidemiology, dye manufacturing, science’s role in the legal system, and so much more. Fagin leaves no questions unanswered. Story: 4 // Craft: 5 // Entertainment: ?? ?2-5 this is not for leisure reading // Learning factor: way way way above a 5. You will walk away knowing much more than you did coming in. You just have to stick with it. Anyone who has ever struggled to explain to a nonreader why reading is good for you should take a look at the article Your Brain on Fiction in The New York Times. The author, Annie Murphy Paul, writes: “The novel…is an unequaled medium for the exploration of human social and emotional life.” She argues that reading fiction allows for a sort of simulation of reality; by learning to connect with characters and their stories, we are better able to understand and connect with others in our own lives. A man who has lost everything and mourns by walking backwards takes a journey into the High Mountains of Portugal in an early, 20th-century automobile to look for a bizarre, lost Christian artifact. A pathologist, devout to both God and Agatha Christie, performs an autopsy on a man and finds something unusual within. A modern Canadian man with Portuguese heritage picks up and moves to the High Mountains of Portugal with a Chimpanzee, searching for peace and a new life. 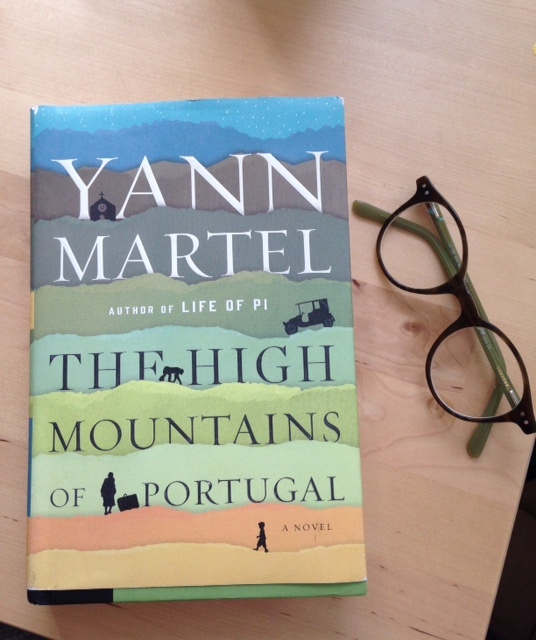 Yann Martel’s newest book, The High Mountains of Portugal, is a three-part journey that explores grief and Christian devotion with a twist. As a non-Christian and non-religious reader, I hesitated with the book’s themes at first, worried that I was about to slog through some 300 pages of Christian proselytizing, but this was not the case at all. I could not put this book down, and soon came to find that the stories dealt less with religion and more with the human condition. The writing is beautiful and the stories haunting and full. My only issue comes from the nature of the ending, which I thought failed to tie together all the loose ends. Granted, I wasn’t expecting to be spoon-fed meaning, but there were quite a few questions that were left open. But in all I do recommend this book, both to a reader looking for pleasure in prose as well as to one searching for deep thinking. Perhaps you might find many more answers than I did. On the asteroid Pallas, a race of worm/slugs-like beings live a Utopian life filled with art, music, and deep thoughts. One day they decide to build a gigantic tower to penetrate through a glowing cobweb cloud that hangs above their planet during the day, and descends and becomes dark at night. The project is spearheaded by Lesabénido, a Pallasian who believes that a greater being lies beyond the cloud who, or that, contains the great secrets of the Universe. 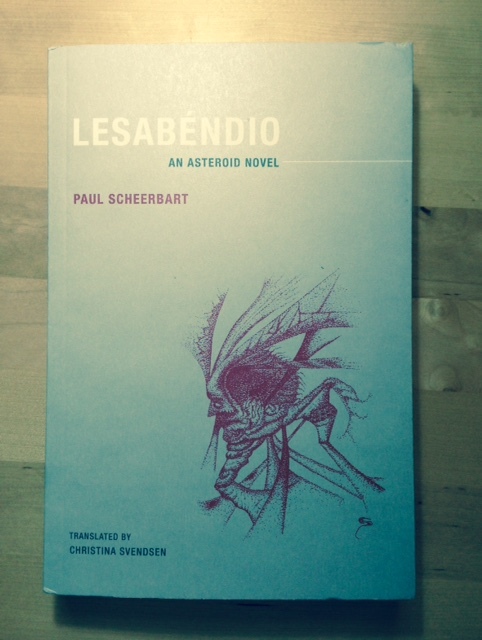 Lesabénido is a stark and simple story that reads almost like a folk tale. It was written in 1913 by German author Paul Scheerbart, and published right at the onset of World War II. In the introduction, the translator laments that the book was published at this time. Otherwise, he believed it would have been much more popular and impactful than it is today. This is likely a book unlike anything you’ve read before. It is so odd, and beneath the simple words lie any number of interpretations and meanings. Although I enjoyed reading it overall, at some parts I really struggled to visualize what was happening. I think part of the point of this book is to let your mind see what it wants, but sometimes the struggle to see and understand halted my reading and I wished for a little more direction. In the end, I’m not really sure what moral or enlightenment I was suposed to glean, but I feel like there’s something in there that a chat among literary friends could reveal. Honestly, I felt like I was reading some kind of alien bible. 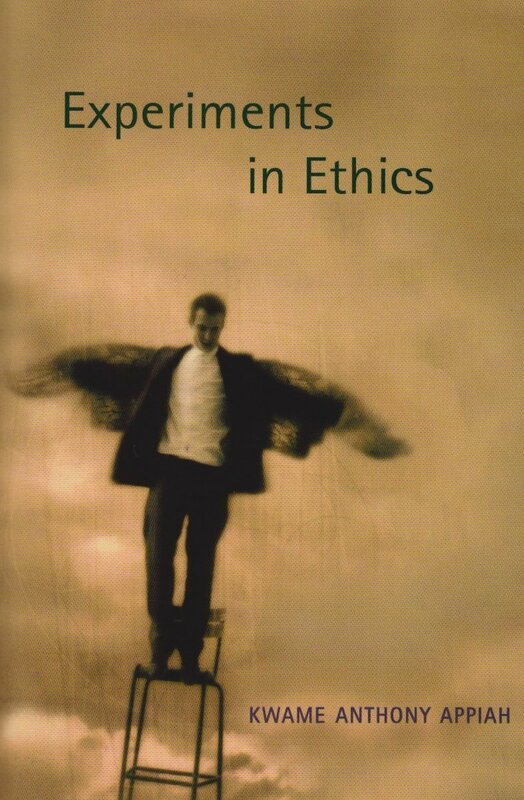 In all, I recommend this book for a reader who wants to think and not be blindly entertained. I don’t mean think about the words or the plot, because those were very, very simple, but more about the meaning behind the story as a whole. Was there even a meaning? Entertainment: 3 // Craft: 2 // Story: 4 // Creativity factor: I don’t even know…this was so beyond odd I’m not even sure if it should be called creativity, or what. It’s maybe a 4?